Discussion in 'Apple iOS' started by Abolfazl, Jun 19, 2009 with 41 replies and 2,948 views. Select the ipcc you downloaded earlier. Congratulations, If you have the iPhone Family Plan you are done. If not follow these steps. It should now say that your device is whatever you put your SIM into. If it doesnt, repeat step 4 a few times. Select a Messaging Plan, one that isnt an iPhone plan. When is AT&T allowing MMS???? There is no quote at the start of the command. your suppose to have them i got it to work. ahh, is there anyway to do this without another AT&T phone? or can you use any At&t phone, or does it have to be on the same account? Something I'm doing wrong? I'm 32-bit. on he just posted wrong. go through the link and try to find the orignal post and do it from there. I did. Same error. I tried without quotes, without quotes on either end, without the space... Grr. Ha. Now what had I done wrong there? I see no difference in the code? So my plan is At&T Family Plan. Both are Iphones, will this work for me? 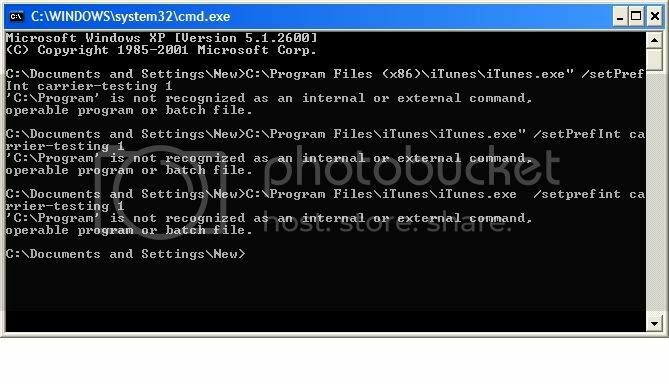 do i hav to do that cmd thing? or can i just download and install it onto my iphone? Ok you have to have the itunes8.2 to do this if you have it great. And yea you have to do the cmd. when i copy aND Paste ur thing into cmd black screen it doesnt do anything, it stays there, whats supposed to happen?